The public release of the so-called Windows 10 Spring Creators Update appears to be imminent, with Windows Central reporting an initial rollout date of April 10, citing anonymous sources. Simultaneously, the outlet’s sources say that Microsoft has signed off on the final Windows Insider Preview build of Redstone 4 – its internal name for the next big WIndows 10 update – as Build 17133. This means that Build 17133 will, barring any issues, be what Microsoft releases to manufacturers (RTM) for loading onto new products. Said Build 17133 has already been released to Windows Insider Preview members enrolled in the Fast Ring of its public beta test program open to anyone who’s interested. The build itself doesn’t introduce any new features, but rather fixes minor problems in previous beta releases – a telltale sign that Microsoft's testing process is complete. Knowing this, it’s easy to be confident that Microsoft is awfully close to releasing the official, public version of its Windows 10 Spring Creators Update. 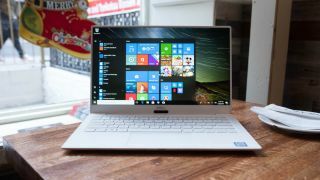 Plus, the purported April 10 release date falls on a Tuesday, the typical day of the week for Windows 10 updates to drop. The Spring Creators Update is expected to bring with it a host of major changes to the operating system (OS), including the Timeline feature that was originally slated for last year’s Fall Creators Update as well as the Fluent Design look applied to the entire interface. Near Share, a unabashed answer to Apple’s AirDrop file sharing technique carried out over Bluetooth, will arrive on the OS in addition to faster Bluetooth device pairing. Progressive web apps, programs that can be downloaded via Microsoft’s Edge browser and used therein so as to answer to Google’s Chrome web store, will be featured as well among many more changes.